This is defintely one of those cases where we need Mr Sims and his encyclopedic knowledge of all things 6R4! Come on David, shed some light, please? I've already forwarded to question to our resident ARG Anorak, the Master of all things 6R4, mr Sims. As much as I appreciate your kind words and like to accept your praises guys, I am always humbled if you think that I do indeed have the answer to ANY 6R4 related query. I am doing some digging about at the moment, but certainly from my point of view I am sure the car was the same red as the Cyril Bolton 'Presspart / Rallypart' liveried car. If I recall correctly, Chris painted Zeus' base model in Signal Red - but I could be wrong! If I unearth anything more solid, then I'll be sure to let you guys know. Many thanks again for your continued faith and belief however - it is indeed very much appreciated. 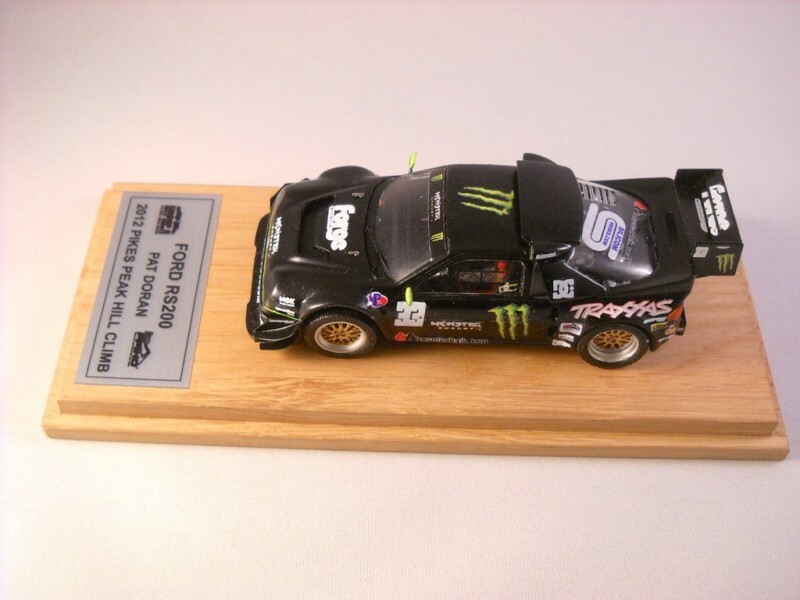 This is just the first prototype of the 2012 Ford rs200 Pikes Peak of Pat Doran. 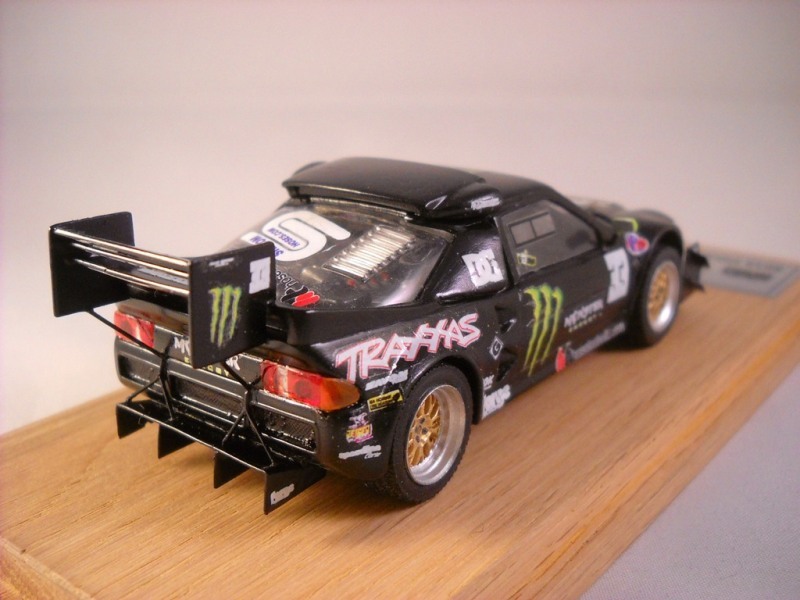 I use a Ixo model to do this one but i will try to do it in a Minichamps as well to see the diference. Drool Drool and triple Drool. Talking of Pikes Peak RS200's I went to see the 87 version Malcolm Wilson used as my friend owns it. what a machine it is and slight differences in the bodywork compared to the works cars. The car is under covers when i went and my boy jack knew what it was straight away and hes only 7. Its still the same as when Malcolm drove it. One for Vitor to model, perhaps? Has anyone had a go already? Hampton Caught wrote: One for Vitor to model, perhaps? Has anyone had a go already? Vitor did the decals for Malcolm Wilson's Pikes Peak RS200 last year, Steve. You'll have to ask him if he still has them available. However, Simon, please wash your mouth out for suggesting I would have a 'blue oval' in my collection! For me, it's strictly post-war MGs, Rovers, Austins, Morris, Triumphs and any marque that formed part of BMC/ BL/ ARG and ARG, including Jaguar and Daimler too. Hampton Caught wrote: Very nice, Vitor! Must resist, must r e s i s t !"!!! Er! No chance! 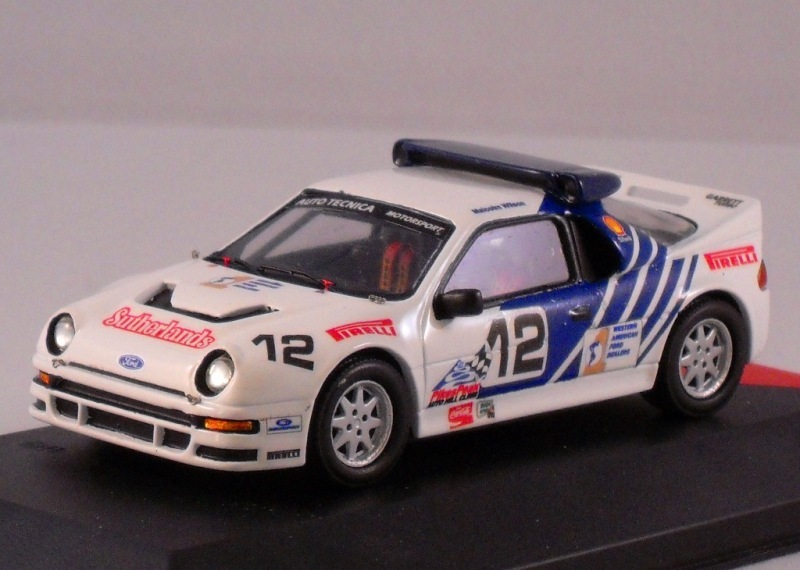 Must admit, the only Ford I have ever liked as a road car was the RS200 as I like the proportions of it and thought maybe I could make one as a kit car using MG Maestro EFi oily bits but that's never going to happen. 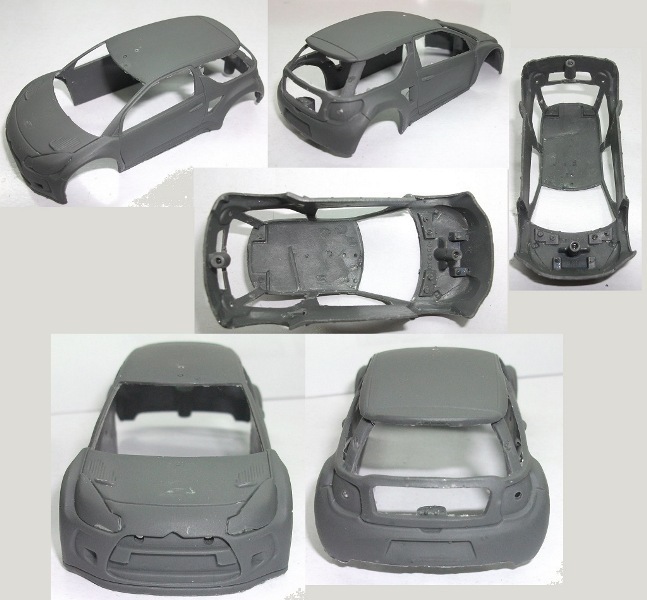 To all Rallycross and X-Games enthusiast, I will release soon a trans kit shell of the Citroen DS3 , for Altaya/Ixo models. With all air vents drill, it should make live easier to modelers that want to build the Liam or Pat Doran models. Unfortunately, there`s no decals at this time for any DS3 so I leave that to someone else . Looks impressive, Vitor. Lovely work again. 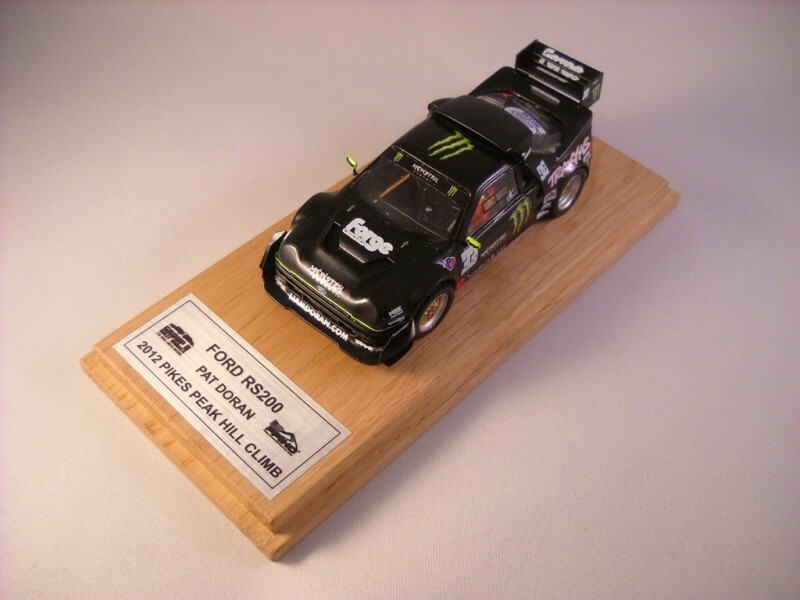 Are these diecast or resin?